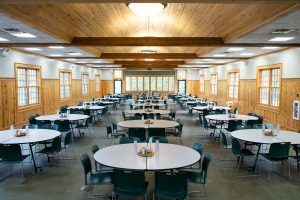 Below is a description of our dining areas. 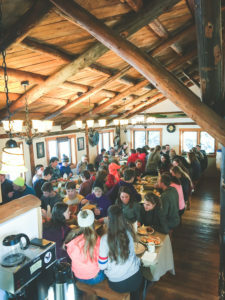 Great meals are prepared and served by camp’s excellent kitchen staff at Oak Ridge. 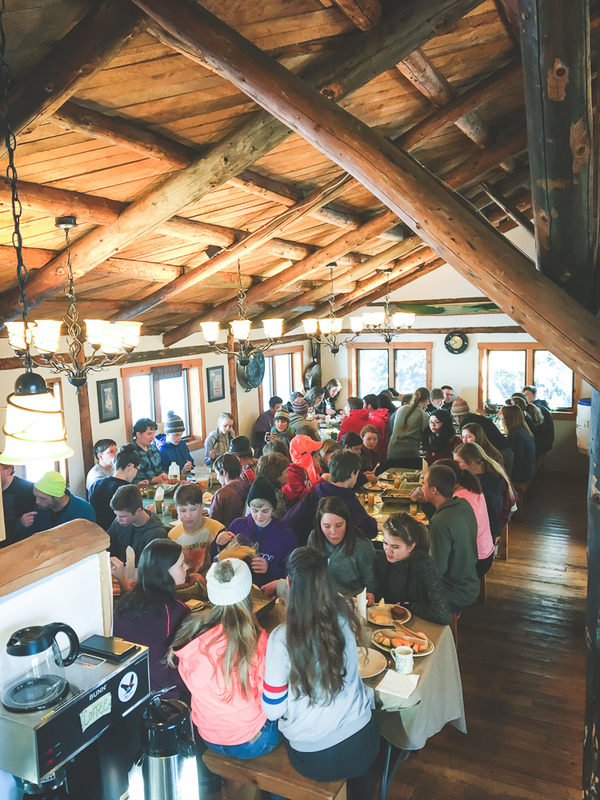 This spacious dining hall has two dining rooms, and the stone fireplace in the lobby offers a very comfortable and inviting atmosphere. 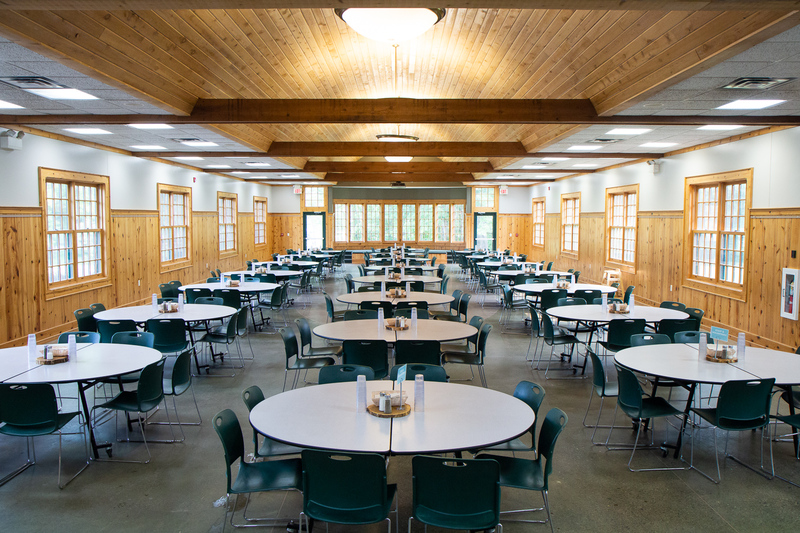 Directly across from the main dining room, the Oak Ridge Meeting Room provides a great place to meet and worship.